You say that Reggae Forever is a startlingly dumb album title–one that will inevitably lead people who don’t know better to assume that this is just another generic exercise in reggae formalism. Fair enough; I agree. 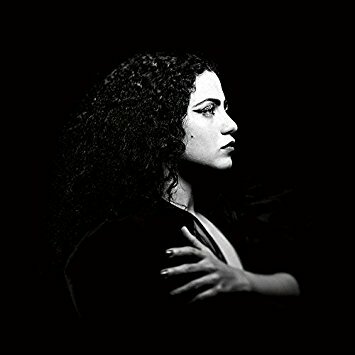 But the key words in that sentence are “people who don’t know better.” Those who have encountered the modern-roots juggernaut that is Etana will see past the title and expect to hear exactly what the album actually offers: smooth-but-powerful production, impeccably written songs, irresistible hooks, and a voice as strong and assured that of any reggae singer in the past 30 years. What these listeners will also notice is how completely comfortable Etana is working in every reggae subgenre: swinging big-band ska (“You’re the One”); dubby lovers rock (“Sprung”); calypso-inflected gospel reggae (“Free”); rockish pop reggae (“Burned”); digital dancehall (“No Money, No Love”). The rhythms are all great, but on every track the chief attractant is her magnificent voice, which never draws undue attention to itself with acrobatic melismas or other look-at-me trickery, but which is at all times both strong and sweet and always perfectly assured. If you were to ask me at any point during the past ten years “What was this year’s best reggae album?” the chances would have been very high that I’d have pointed to a 1970s reissue. 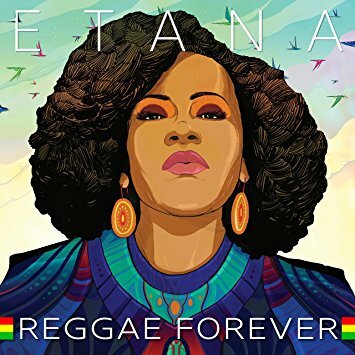 This year the answer would be Etana’s Reggae Forever. 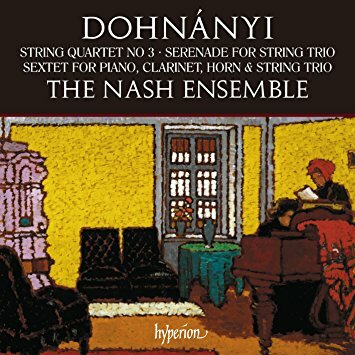 The Nash Ensemble have done something rather sly with this recording: they lure potential listeners in with Hungarian composer Ernö Dohnányi’s popular serenade for string trio (the first selection on the program) and then sneak up on them with the rarely-recorded third string quartet and sextet for piano, clarinet, horn, and string trio. The quartet and sextet are knottier and more challenging than the serenade, but all of them are quite stunningly beautiful, particularly in these performances. I was particularly struck by the alternately lyrical and stately middle movement of the string quartet, labeled “Andante religioso con variazioni,” and by the majestic opening theme of the sextet. Recommended to all libraries. 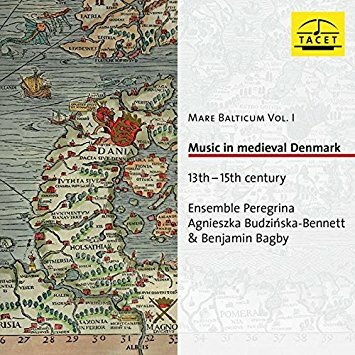 This is the first in a projected four-volume series of recordings that will present medieval music of the Baltic Sea region, each entry intended to explore “the local character of a different coastal region of Balticum.” The first installment deals with Denmark, presenting both vocal and instrumental music from a variety of manuscript sources: there are songs about regicide, some hymns and sequences and antiphons, and a smattering of instrumental pieces. The vocal works are sometimes sung by a solo voice and sometimes in unison by the wonderful Ensemble Peregrina; the liner notes are extensive and informative, and all of this will be of great interest to libraries that collect early music. Just for fun, I decided to review two very different cello recordings together. The first features works by Hans Gál, a relatively obscure Austrian composer of the early- to mid-twentieth century, one whose music fell out of favor during the prime of his life, a time when tonal composition was considered retrograde and non-academic. 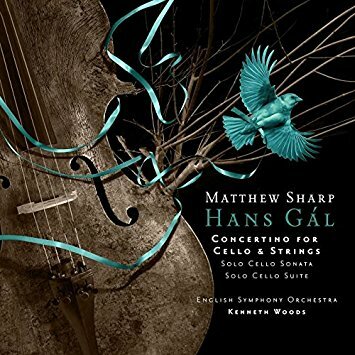 The fact that he remains substantially unknown says something about the continued suspicion towards tonal music of that period, but these recordings–of a cello “concertino” and two solo works for cello–make clear how much we’ve been missing out on. The solo pieces are outstanding, but the concertino (a term that Gál used somewhat idiosyncratically) is a tour de force, and is presented here in its world-premiere recording. Matthew Sharp’s playing is brilliant throughout. 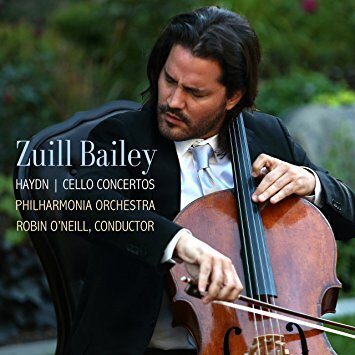 Zuill Bailey’s recording of Haydn’s two cello concertos (not counting the lost one and the two misattributed ones) doesn’t offer any of the musical surprises of the Gál recording, but it is no less rewarding: although the works themselves are familiar, he plays with enough fire and passion to make them sound fresh and new. The live setting undoubtedly contributes to the vitality of this recording, but mostly it’s Bailey’s natural talent and energy. Both of these disc are highly recommended. I await a new release from stile antico the way a seven-year-old awaits Christmas. And so far, I’ve never been disappointed. 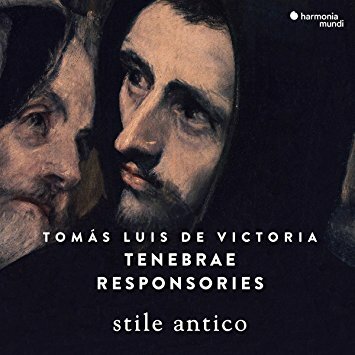 The group’s latest was released, appropriately enough, around Eastertide: it features the Responses for Holy Week by the greatest composer of the Spanish Renaissance, Tomás Luis de Victoria. These pieces are generally considered to be among Victoria’s finest achievements, and recordings of them are not exactly rare, so what justifies yet another? The unparalleled richness of stile antico’s blend, their flawless intonation, and their unsurpassed ability to balance intensity and inwardness, that’s what. Over the past ten years this group has emerged as the supreme exponent of the Oxbridge sound, and every one of their recordings belongs in every library that collects classical music. 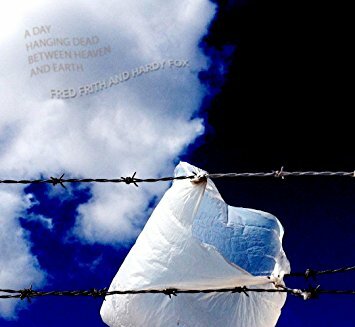 One of the most beloved and admired members of the avant-rock community since his early days in Henry Cow and his much longer career as a solo artist, Fred Frith has long made music that completely defies genre categorization. Something similar could be said of Hardy Fox, who for over 40 years has been the prime mover behind the Residents, a Bay Area avant-pop collective that kept its membership almost entirely secret until recently (when Fox came clean about his role as primary composer for the group). 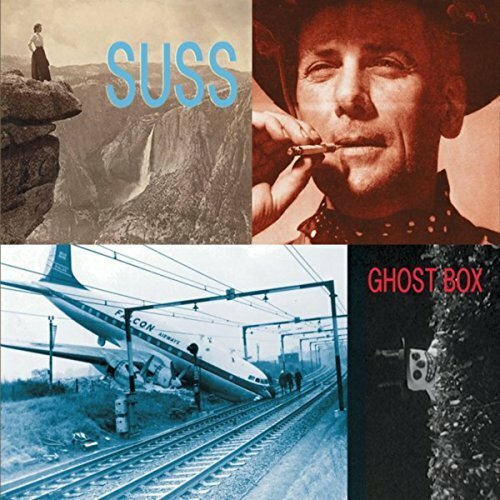 This disc is the long-delayed result of a collaboration between Frith and Fox that has its origins in a recording Fox made of Frith singing melodies to himself while the two of them sat naked on a rise above the Pacific Ocean in Big Sur. Long story short, Fox turned the recordings into a sonic collage, Frith later used a MIDI violin to turn them into something different, Fox took those recordings and messed around with them some more, the resulting recordings were filed away and forgotten for years, and then they were found–at which piont Fox contacted Frith, they reworked the material some more with new lyrics and vocalists, and the result is this weird, charming, sprawling work that — wait for it — completely defies genre categorization. Filed under “Classical” because the music is composed, and because it can’t possibly be called “jazz” or anything else. Sometimes, I confess, I feel guilty for loving the music of the classical period so much–kind of the same way I feel guilty for liking cake. It can feel like empty calories: all form and grace and prettiness, and not much in the way of meaning or substance. (Not all of it, obviously, but a lot of it.) And yet here we are, contemplating this delightful recording of flute quartets by an Italian composer known far more for his violin compositions and methods than for his flute writing. 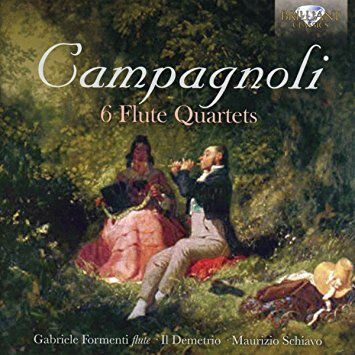 Ensemble Il Demetrio (on period instruments, including a keyed chromatic wooden flute) give these pieces a very fine presentation here, and flutist Gabriele Formenti is particularly to be commended for his tone. If you think you might feel guilty indulging, then maybe listen to an early Beethoven symphony first and have these lovely Italian pastries for dessert. When synthesizers first started really coming on the scene in the 1960s and 1970s, one of the reactions against them was rooted in the concern that they would take the place of analog and acoustic instruments. But to me, what always made synthesizers interesting wasn’t how good they were at imitating other instruments, but the enormous variety of sounds they could create that couldn’t possibly be made by any other instrument. And when synthesizers actually interact with acoustic instruments–well, the sky’s the limit. 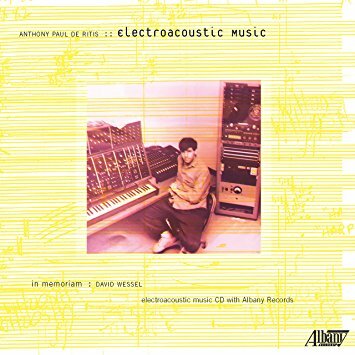 In the mid- to late-20th century, some of the most interesting avant-garde music consisted of exactly such interactions, and over the past 25 years composer Anthony Paul De Ritis has continued developing that tradition. This disc brings together a large and varied assortment of electroacoustic pieces for such instruments as piano, alto saxophone, kalimba, trombone, and Chinese instruments like the erhu, pipa, and sheng. 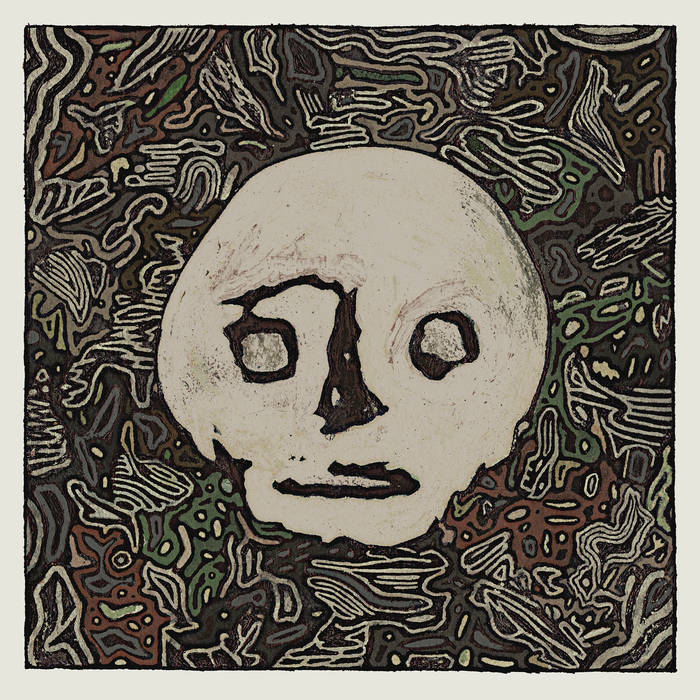 The music is sometimes whimsical and sometimes stark, and always interesting. Are we now at the point where we can say that Fred Hersch is our greatest living jazz pianist? I don’t know. I can tell you that I listen to many, many jazz pianists over the course of any given year, and I have yet to encounter another one with his combination of bravura technique, deep sense of structure, capacity for invention, and pure taste. And in a live setting, he and his trio (which includes bassist John Hébert and drummer Eric McPherson) move together like a well-oiled machine. No, that’s not the right simile: they move together like a cloud of starlings, shifting into unpredictable but beautiful patterns in response to cues that the listener can’t hear or comprehend. On this set, recorded in Brussels just a few months ago, the group plays two Monk tunes (one of them a Hersch solo encore), two Wayne Shorter tunes, and six originals–sometimes swinging, sometimes floating delicately, sometimes growling and thrashing, but always singing. 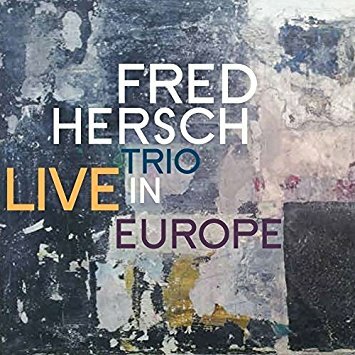 For any library with a jazz collection, every Fred Hersch album is quite simply a must-buy. As classic jazz recordings of the 1940s, 1950s, and 1960s pass out of copyright in the UK, labels like Real Gone Jazz and Enlightenment are putting them out in super-budget multidisc packages and selling them internationally–including in the US, where the recordings are often (though not always) still under copyright. Is this legal? Technically yes, partly because there’s no such thing as international copyright law. Is it ethical? Eh. Your mileage may vary. When the artists involved are long dead and their labels no longer exist, I tend to feel better about it. (Of course, that doesn’t necessarily mean that someone isn’t getting cheated out of royalties, whether it’s an artist’s descendants or the new owner of the defunct label’s catalog.) 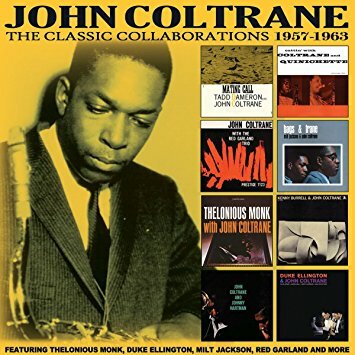 For right now let’s assume, for the sake of argument, that there are no legal or ethical impediments to buying the latest box from Enlightenment, this one focusing on recordings made by tenor saxophone legend John Coltrane alongside various co-leaders during what I consider his best period. It includes eight albums he made with Thelonious Monk, Red Garland, Kenny Burrell, Tadd Dameron, Paul Quinichette, Duke Ellington, Milt Jackson, and Johnny Hartman, and finds him mastering the hard bop language and then expanding it–a process that would continue into the mid-1960s (a period that many other people consider to be his best). It’s hard to exaggerate both the quality and the historical importance of the music he made on these albums, and if your library doesn’t already own them in CD format this is a great opportunity to beef up your collection at minimal cost in terms of both dollars and shelf space. This disc came to me in the mail with no additional information: no press sheet, no bios, no contact info beyond the return address on the envelope. Inside the disc package there’s little more: the musicians are credited (Bob Holmes, Gary Leib, Pat Irwin, Jonathan Gregg and William Garrett), but no indication is given as to what instruments they play. Pop in the disc and it becomes clear that their instruments include guitar, bass, and steel guitar–but what remains unclear is exactly what kind of music this is supposed to be. And there’s nothing wrong with that. The guitars float and shimmer, the bass provides a sometimes-steady pulse if rarely anything that one might call a “beat,” and the steel swoops in with countryish moans from time to time. There may some keyboard in there too, but the difference between keys and strings can be hard to suss out these days (see what I did there)? Anyway, it’s all very pretty and very weird, and that’s a winning combination in my book. 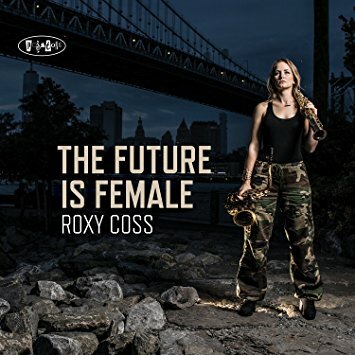 Saxophonist and composer Roxy Coss has always projected a strong, independent image as a woman in jazz, so in light of events of the past couple of years it should come as no surprise that her feminism is coming more to the forefront of her self-presentation. With song titles like “Nasty Women Grab Back,” “Females Are Strong As Hell,” and “Nevertheless, She Persisted,” Coss is not making a subtle statement here. But beyond those titles, she’s doing it entirely musically, writing powerfully swinging and complex jazz compositions and leading a crack quintet in nimble but muscular performances. These are tunes that veer back and forth between straightforwardly lyrical and knottily chromatic, often within a single chorus; her solos are master classes in structure and tone. Coss has that rarest of qualities in a jazz composer: the ability to surprise you with a line or gesture that sounds perfectly inevitable. For all jazz collections. I don’t listen to big band music very much, I guess because I usually find it either anodyne or tiresome, and as a result I don’t review it very much either. 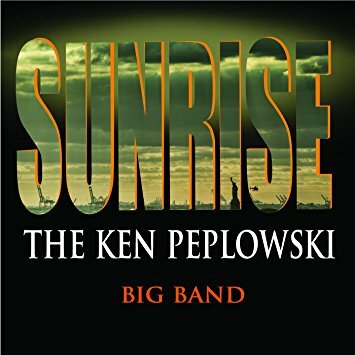 But I’ll listen to any project that involves Ken Peplowski in any way, so when I saw he’d released a big band album as a leader I knew I had to get my hands on it. And it’s wonderful, as anyone familiar with his work would expect. The program is all standards, and one of the pieces is a world premiere: an arrangement of “When You Wish upon a Star” by the song’s composer, Alec Wilder, that was written for the Benny Goodman orchestra but never played or recorded before now. Peplowski is not only a brilliant clarinetist but also a generous and subtle bandleader, and this album is absolutely full of lovely moments and joyful swing. Strongly recommended to all libraries. 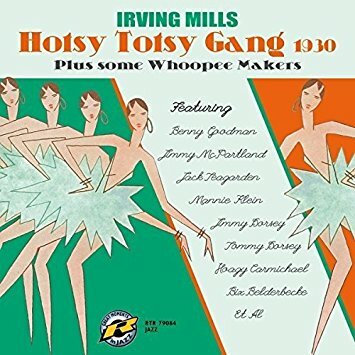 Let’s close out this month’s jazz section with some pure fun: a bunch of exquisitely restored 78s recorded between 1928 and 1930 by Irving Mills and his various hot bands. Mills was not only a bandleader and songwriter, but also served as Duke Ellington’s business manager for fourteen years and worked tirelessly to promote jazz music. Not only is the music on this disc every bit as fun as you’d expect, with lots of up-tempo swing, charmingly anachronistic singing, and fruity radio-announcer voices, but it’s also historically significant: these tracks feature early performances by the likes of Benny Goodman, Bix Beiderbecke, Hoagy Carmichael (as both pianist and vocalist), Jack Teagarden, and Joe Venuti. As always with Retrieval releases you get a wealth of historical info as well, complete with matrix numbers, historical context and complete personnel notes. Another perfect library purchase. 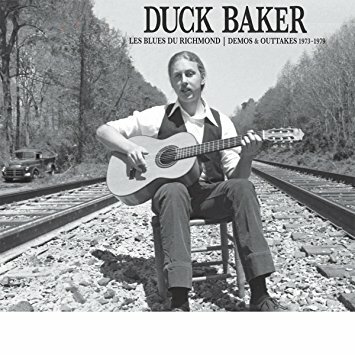 A legendary fingerstyle guitarist, Richard Royall “Duck” Baker IV distinguished himself from other hotshot guitarists in the Post-Folk Scare period by, among other things, devoting just as much energy to ragtime and hot jazz arrangements as to fiddle tunes, and also by fusing free jazz approaches to folk forms and techniques. This disc brings together previously unreleased demo tracks from early in his career along with some rare recordings in a variety of styles. You’ll hear renditions of “Charleston” and “Doing the Raccoon” alongside free improvisations and heart-tuggingly beautiful arrangements of contradance favorites like “Sandy River Belle” and “The Humors of Whiskey.” When he sings, which he does on several tracks (despite the incorrect annotation on the back cover), his voice is charmingly plainspoken and he delivers the silly jazz-era lyrics without any noticeable irony. For all folk collections. 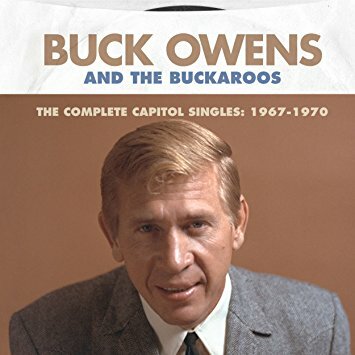 By the late 1960s, Buck Owens–architect and avatar of what was by that point known as the Bakersfield Sound–was starting to get stylistically restless. Listen to the difference between, on one hand, the affable novelty song “Sam’s Place” and the standard-issue weeper “What A Liar I Am” (1965 and 1966, respectively) and, on the other, the psychedelic-rock-inflected “Who’s Gonna Mow Your Grass?” and the infamously rocking live-in-London version of “Johnny B. Goode” (1968 and 1969). The crowd loved that last one, but Owens’ hometown audience wasn’t so sure that he was strictly honoring the Country Music Pledge he had made just a few years earlier. He would continue courting musical controversy over the next few years, pushing the boundaries of traditional country music in ways that might sound quaint 50 years later, but were genuinely startling at the time. And no matter what he did, he sang almost as thrillingly as George Jones. 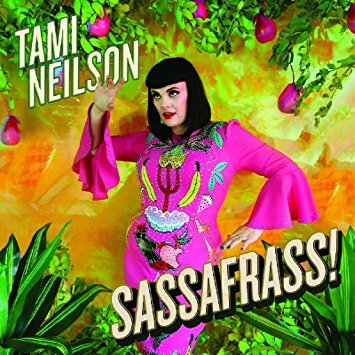 Canadian-born, New Zealand-based singer-songwriter Tami Neilson has never been willing to confine herself to a single country subgenre, and on her latest album she breaks out in all kinds of different directions, directions that converge in a sort of tiki-torch sway and rockabilly swagger that is simultaneously familiar-sounding and weirdly unique. On <em>Sassafrass!</em> you’ll hear hints of Roseanne Cash and Bobbie Gentry, but they’re both influences, not sources. Neilson’s voice remains an absolute wonder: it can be hard and brassy or sweet and lyrical, and its power is enough to rock you back in your seat. And she writes a great–really great–kiss-off song. You thought they were dead? Think again. 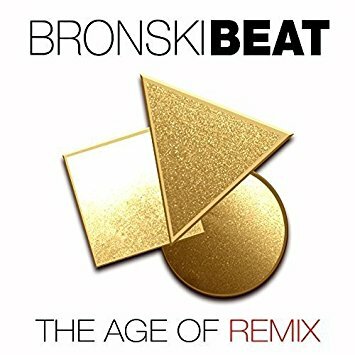 Bronski Beat has never really gone away since the group’s heyday in the 1980s, and Steve Bronski continues to put out solid electro-disco under that moniker 35 years later. The most recent release is The Age of Reason–which is itself a modern remake of the band’s debut The Age of Consent–and this three-disc remix extravaganza takes that album and folds, spindles, and mutilates it into a sprawling array of neo-disco reconfigurations. Mixes by the likes of Laether Strip, Jose Jimenez, and Scandall ‘n’ Ros fill up the first two discs, and the third consists of a selection of tracks from those discs presented in a continuous mix for maximum dance floor pressure. It’s important to note that while each producer gives his or her assigned track a unique flavor, there is a strong rhythmic consistency here: this is all about the house banger, with only rare and brief forays away from the familiar four-on-the-floor thump. But when it comes to that neo-disco sound, there’s hardly anyone better. 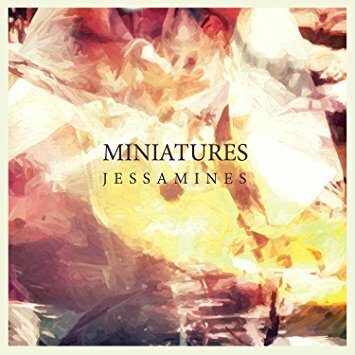 OK, let’s get this out of the way right up front: yes, Miniatures sound an awful lot like Cocteau Twins. You’ve got your massed harsh-soft guitars, your inscrutable and barely audible (but gorgeous) female vocals, your beats that are much more aggressive than you think they are at first blush. What you don’t have quite as much of are the unexpected flights of melismatic melody that stop your heart for just a moment, but still, Miniatures bring back to the music scene a vein of dreamy, analog experimental pop music that never did get fully mined back during the shoegaze heyday. Is it innovative, strictly speaking? Nah. But it sure is pretty, and isn’t that what really counts? Songwriter and multi-instrumentalist Jeff Shelton built his early career as the frontman for Bay Area power-pop favorites Spinning Jennies, but since 2003 he’s been the talent behind the Well Wishers, which is for all intents and purposes a one-man band. On this, his ninth album under that name, he sings all the parts and plays virtually all of the instruments (guest guitarist Pete Bohan contributes a sharp solo on “Never Let You Down”). 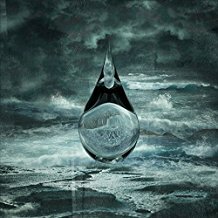 As always, he delivers everything that fans of the genre ask for: dense, crunchy guitars; cathartic chord changes; soaring melodies with gorgeous vocal harmonies. This is absolutely perfect music for driving just a little too fast with the windows open on a summer evening. Following on from the label’s similarly-configured collection of 1970s UK punk (Action Time Vision, 2016), this set is a jaw-dropping collection of both rare and familiar material, much of it never before released on CD and much of it long out of print. Essential bands like the Damned, UK Subs, Discharge, and Cockney Rejects are here, but so are some that only the most dedicated punk-rock crate-diggers are likely to recognize: the Varukers, Demob, the A-Heads. Some of these tracks were originally released commercially, but a few are demos (some of truly atrocious sonic quality, which seems completely appropriate). Aficionados will, inevitably, note some regrettable lacunae (where’s Crass? or anything from the Crass family?) and will wonder why space was given over to silly pseudo-punk nonsense like Toy Dolls. But playing that game is half the fun of collections like this, and no one will come away without having discovered something new in this sprawling compilation of 30-year-old punk treasures. 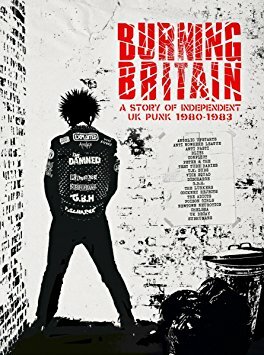 (And besides, the title is “_A_ Story of Independent UK Punk,” not “_The_ Story.”) The box comes with a booklet that I didn’t get to see, but that I’m sure is wonderful. For all pop and rock collections. Birds of Passage is New Zealand-based Alicia Merz, who composes songs that move like glaciers and shimmer like broken ice in the freezing-cold moonlight. So, no — I wouldn’t characterize her sound as “warm.” But good heavens, it sure is pretty. Don’t worry about the words; you won’t be able to really hear them, and that’s fine. Her voice is the point, as is the way in which she weaves it in and around the layers of white noise, synthesizer wash, and bottomless echo. The overall effect is simultaneously distant and immediate, effortlessly accessible and deeply mysterious. Definitely not for dancing, this is an album that should be hand-sold to anyone you see in your library wearing very, very dark eyeliner. 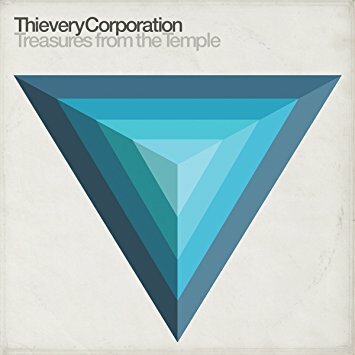 This is a companion album to the last Thievery Corporation release (2017’s Temple of I & I, which I recommended in the February issue of that year). It features a mix of previously-unreleased material from those same sessions, along with some remixes of tracks from that album. And unlike the previous release, which constituted a full-on deep dive into reggae, this one goes further afield, exploring club, soul, and hip hop flavors are well, everything being filtered through the Thievery Corporation’s uniquely laid-back, smoky groove. These guys have always been musical polymaths, equally adept at invoking the grooves of acid jazz, dub, samba, bossa nova, and soul, and you can almost hear the buildup of tension when they try to stay focused for too long on a single genre; Treasures from the Temple is the sound of that tension being released. Studio One was perhaps the most important single recording operation in Jamaica during the middle to late 20th century. The rhythms (or instrumental tracks) recorded there in the 1970s are still used by reggae artists today, and artists as influential as the Ethiopians, Burning Spear, and Bob Marley recorded early work there. 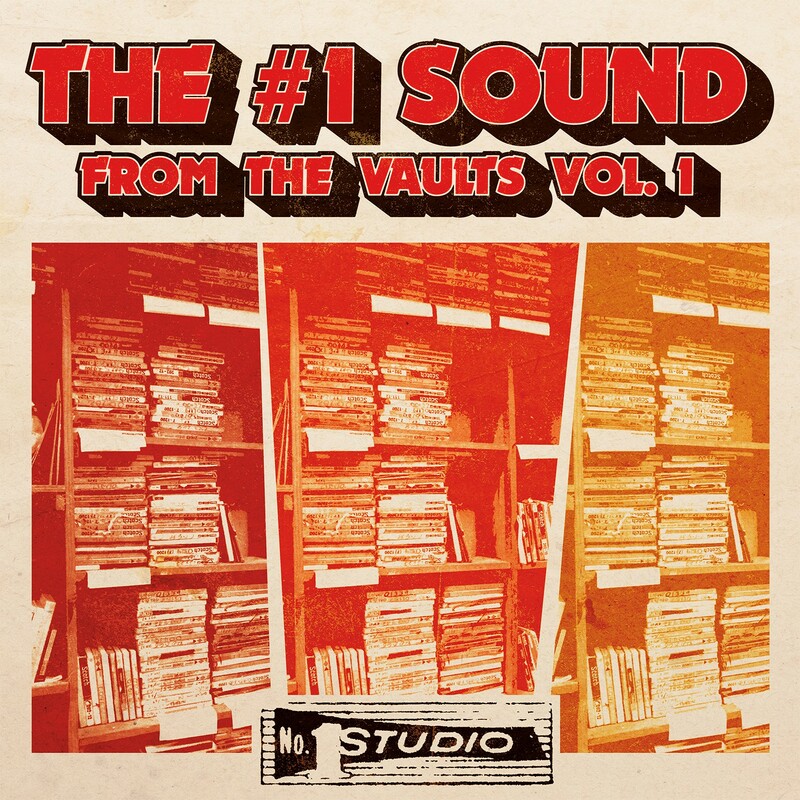 Most compilations of Studio One tracks lean heavily on familiar and popular tunes, but this one collects rare singles by artists both famous (Ken Boothe, Alton Ellis) and obscure (The Officials, Bop and the Beltones), spanning the rock steady and roots reggae eras. None of the tracks featured here have been previously released on CD, so libraries with a collecting interest in reggae should definitely pick this one up. Dr trippy characterizes his style as “Punjabi swamp music,” which I think is pretty accurate as far as it goes, but doesn’t go far enough. For one thing, American readers are likely to associate “swamp music” with Southern Louisiana and its various flavors of Cajun and Zydeco music. There’s nothing like that here. 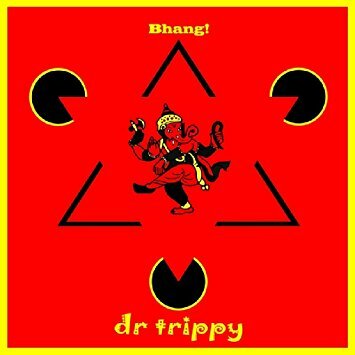 The swamp that dr trippy has in mind is more conceptual, and more globally eclectic: at any given moment you’ll hear elements of Punjabi bhangra, Jamaican skank, R&B horns, techno beats, dubwise breakdowns, and more. It’s global dance music, I guess, but with a pretty specifically South Asian (or at least East London) flavor, and it’s all lots of fun. There’s quite a bit of good roots reggae coming out of France these days, but what sets both of these artists apart from the competition (apart from the sheer quality of their work) is the fact that they perform almost excusively in French. Good for them, I say–all too often, when people write lyrics in a second language the results are embarrassing, and when they try to approximate a Jamaican patois the results are even worse. So with both Ryon and Wach’da, there’s nothing to distract you from the deep, solid rhythms and the great songs. 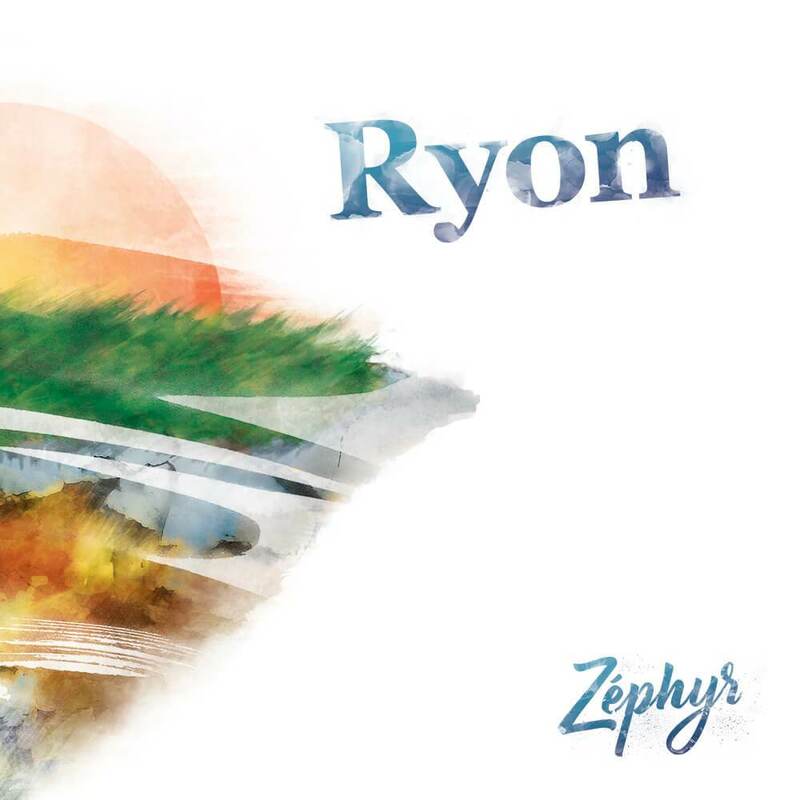 Ryon is a band whose lyrics suggest a deep religiosity–and perhaps even specifically Christianity. Their sound on this album is deeply traditional, with a great horn section and lots of thick, heavyweight one-drop and rockers grooves and dubwise production flourishes–they frequently remind me of early-period John Brown’s Body. 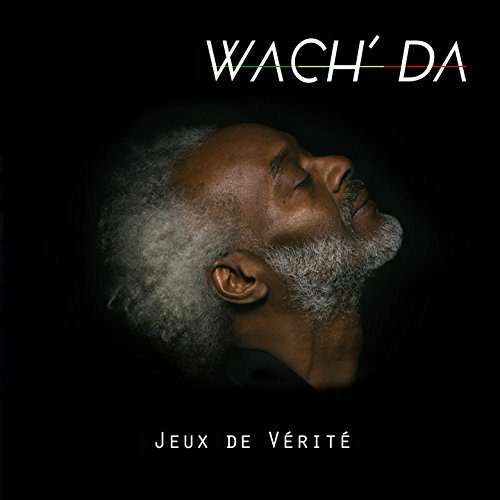 Wach’da (born Joseph Rano) is an Antillean artist whose approach to reggae is a bit more oblique than Ryon’s; he makes use of African and Latin elements from time to time, with particularly interesting effect on “Leave a Chance for Life” (case in point), an acoustic and Nyabinghi-flavored tune that features a guest appearance by reggae legend Winston McAnuff. Elsewhere his sound is sharp and direct, with a strong 1980s roots flavor. Both of these albums would fit equally well in a world music or reggae collection.